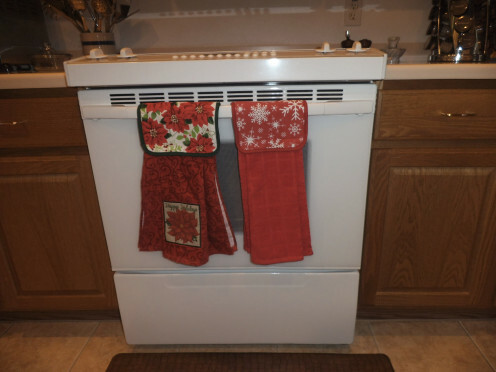 These colorful dish towels bring some Christmas cheer to your kitchen. As you prepare the sweet potatoes, the ham or turkey, these are right at hand, ready to use. They aren't expensive, as you make them yourself in just minutes. Regular kitchen towels tend to slip off the oven door. When I reach for them, they aren't at hand. They've fallen to the floor. This craft ensures that your towel will stay in place. They are great for other seasons and holidays too. Look for heart designs for Valentine's Day, leaves and pumpkins for autumn, flags for the 4th of July and so on. No matter what the season or special day, you can have a hanging kitchen towel to fit the occasion. I like to give these as gifts too. Everyone can use a few of these, so make some to give as hostess gifts or to your neighbors. 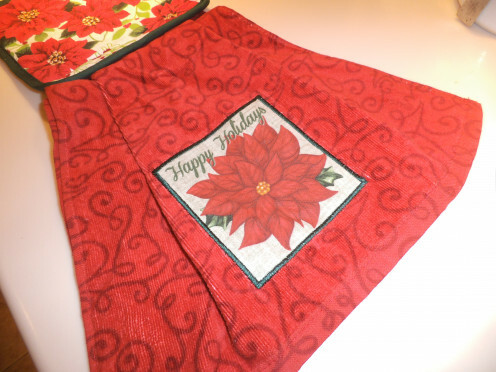 Choose good-sized potholders in holiday designs. It must have the loop at the top, not at the corner. 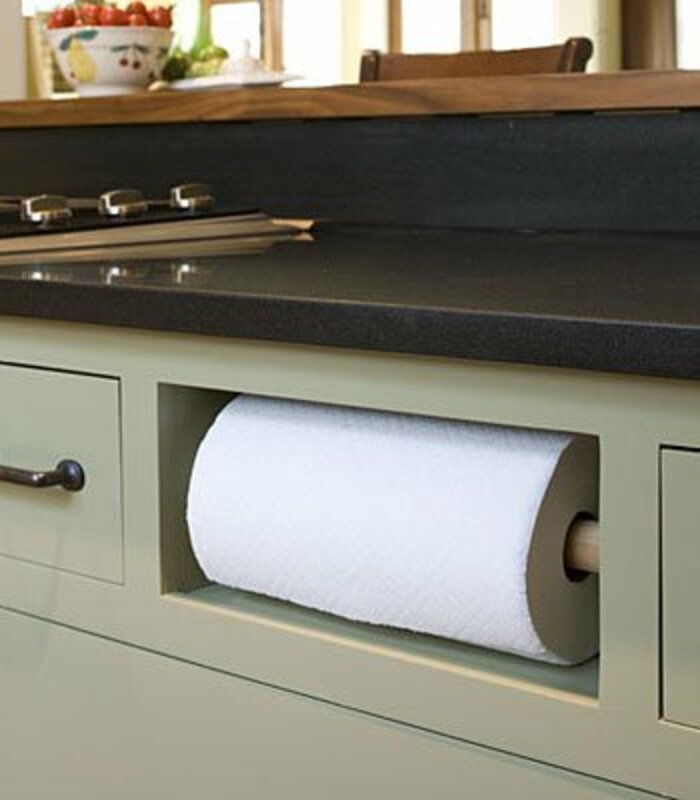 Select a kitchen hand towel in your preferred weight. Coordinate the color with the colors in the potholder. I think one with an overall design like this works well. Check how the design will look when the potholder is folded in half. 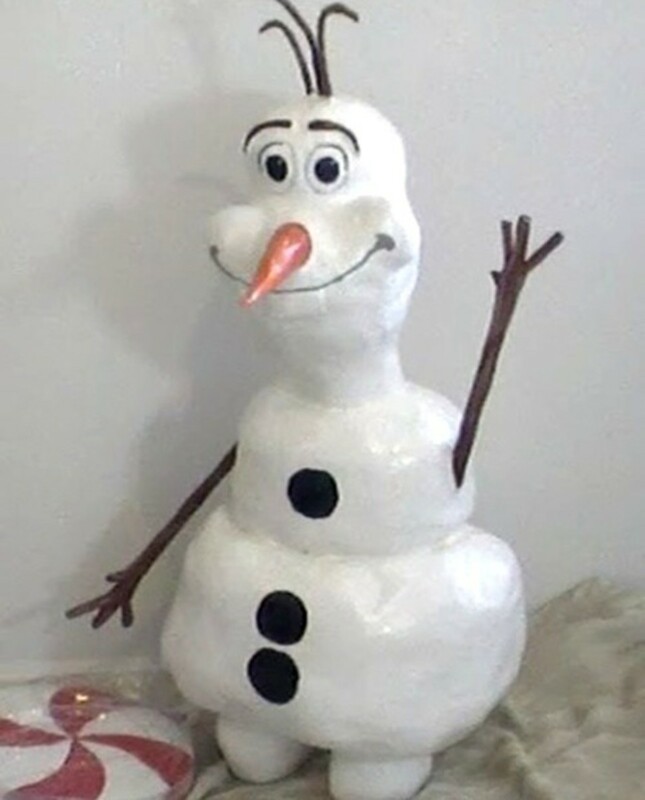 This one has the loop in the right place for this craft project. Don't get ones with the hanging loop in a corner. The design can be viewed from any direction, so this one works fine and has a festive holiday look with the green holly. 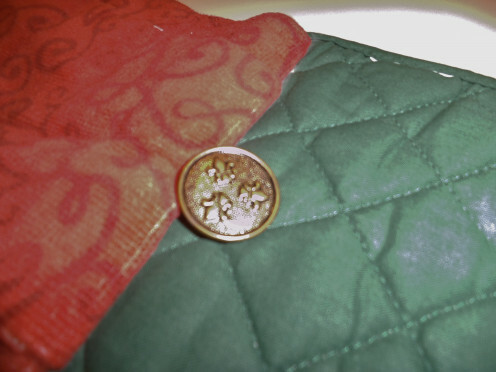 You'll need an over-sized button that fits through the loop of the potholder without slipping out. The sewing department at Walmart or a craft place like Michaels should have a good selection of larger buttons. I'm partial to the brass ones with a raised design, but get whatever suits you. 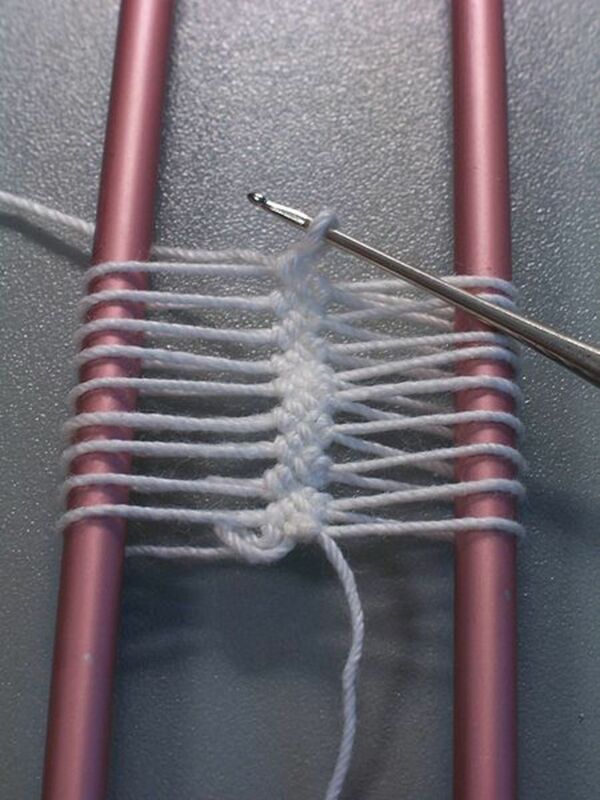 Make sure it fits through the loop of the potholder that you are using for the project. 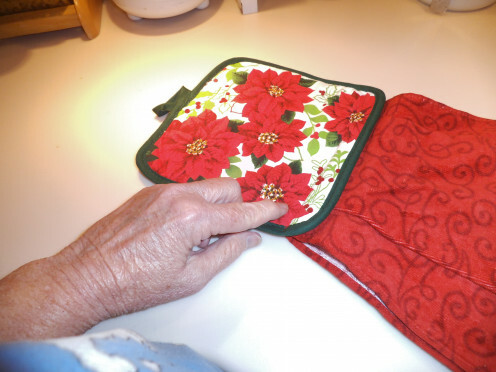 Now you sew the hand towel to the potholder. Select the mid-point of the towel, so it will hang evenly. 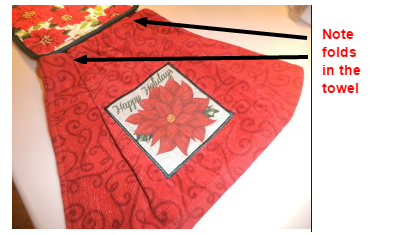 Place that mid-point on the back of the potholder, near the bottom. Since the towel is wider than the potholder, fold it in two places to get the width of the towel and the width of the potholder to match. If you want it to stay flat while you sew it, you can iron the folds into pleats. Backstitch at each end of your stitching to secure it. 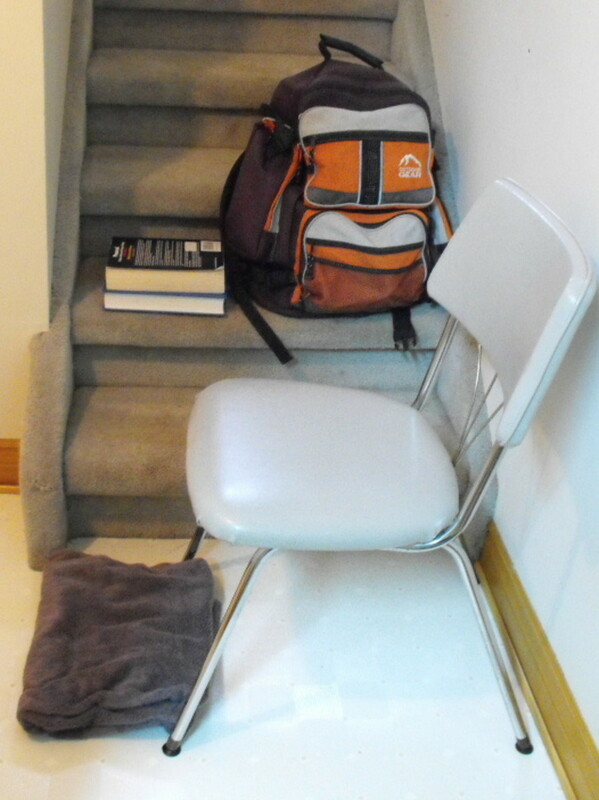 You don't need to do anything to the edges of the towel as those are already hemmed. When you stitch through something thick like a potholder, it puts stress on the usual sewing machine needle. You don't want it to snap off, so get a stronger needle for your machine like this. 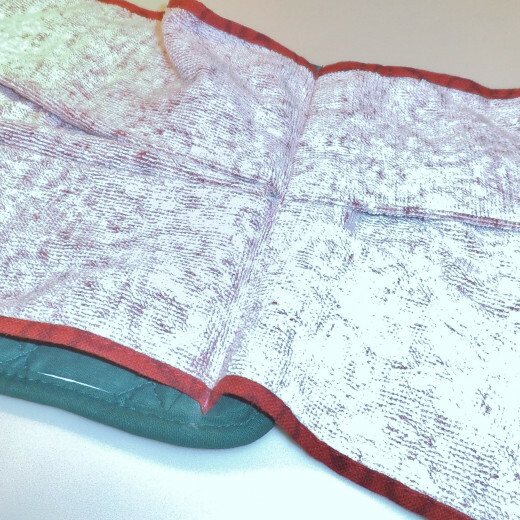 You can sew the towel to the potholder by hand if you prefer. Dress up the towel with a coordinated fabric design. Top-stitch this to the front of the towel. Are You Going to Make Some of These? This is such a helpful hub. I am learning to use my sewing machine and with help from such directions I am able to make things I would not be able to otherwise. Having the button on them makes it so nice as it keeps them on the handle rather than having them slip off. New tea towels and pot holders are a quick way to spruce up a kitchen. These are really cute. I just made some of these today! I had to hand sew them but the design was a tad different. 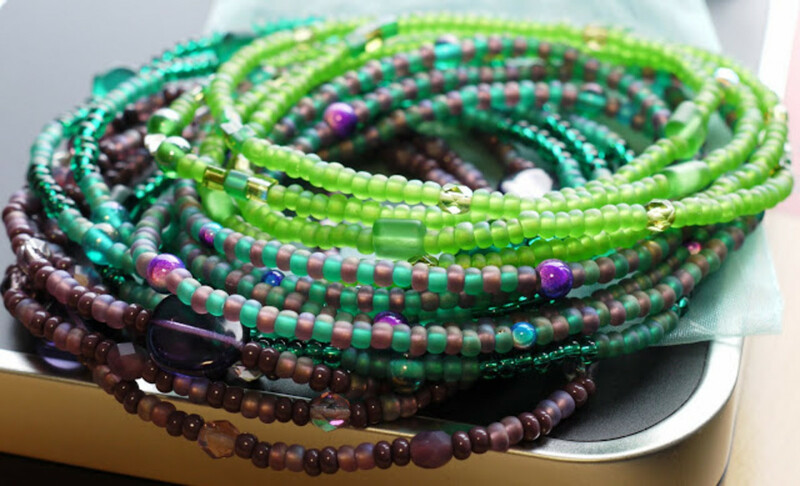 Nice idea for easy, inexpensive gifts, too! What a clever idea! I don't have a sewing machine, but tight hand-stitching would work, I think. 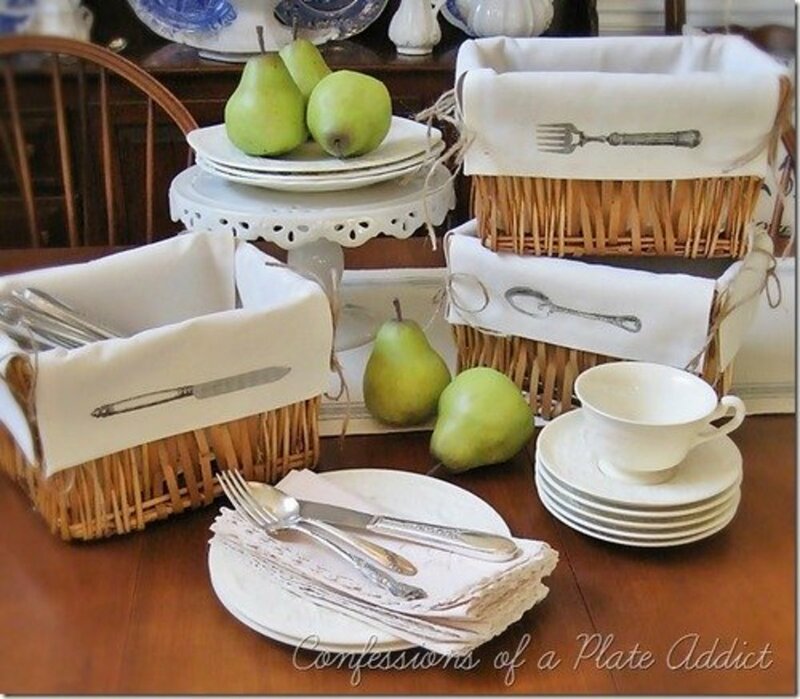 What a practical way to keep potholders and dishtowels together! Very festive and as you say would make great gifts. This is a great idea! I've never seen potholders and towels sewed together like this.